I bought a small green LED light that I'm going to install on the dash. I plan to wire it in so it remains on whenever the ignition switch to the main is on. I have a Yamaha F100 going to a Yamaha 703 controller and a Yamaha Digital Tach. Where's the best place to tap in for 12volts to power the light? Anyone with experience doing this already? I'm hoping it won't be difficult and I don't have to mangle too many wires. Do you have a separate hour meter? 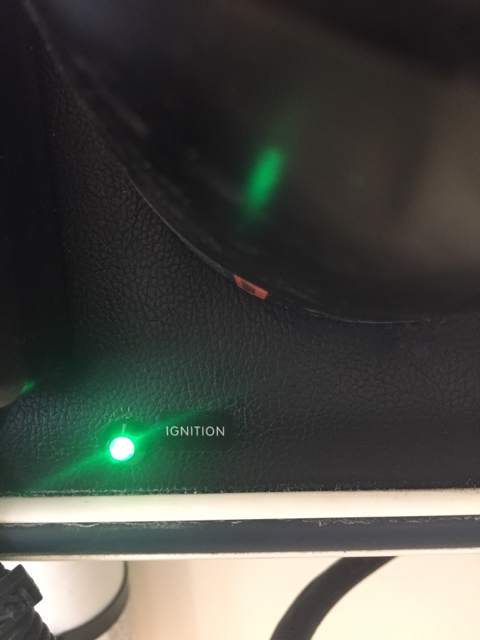 Is it wired to only turn over when the ignition is in the "on" position? If so, there you go. If not, you want to find a wire that is only powered when the ignition is "on" and run your light off of that. Do you have a shop manual for the boat? 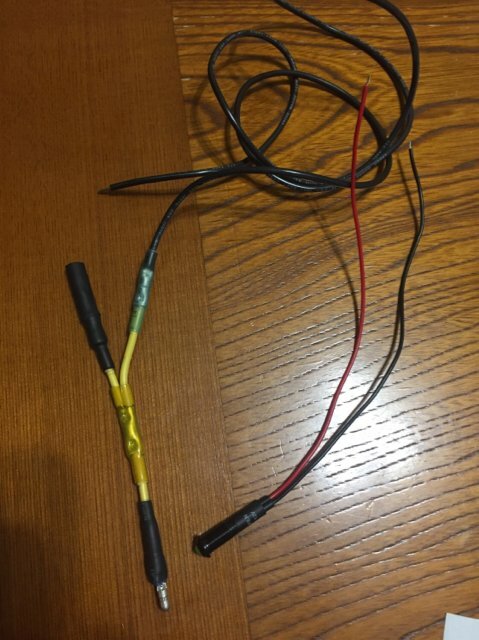 On my old Arima, I was able to use the Suzuki shop manual to find a vacant plug in the wire harness behind the tach that was only powered when the switch was on. I used it when I installed an hour meter. Do you not have a gauge or set of gauges that monitor your main? How do you monitor your motor performance? Would it not just be easier to monitor them? I mean your rpm gauge alone would tell you it's idling right? Other than that TW has it nailed with his suggestion. I know what I'm supposed to be looking for, just hoping someone has identified the wire already. I don't have an hour meter. That info is displayed on the digital gauge, which has a nice multi wire loom connection that I don't want to dig into. And yes...if I noticed the digital tach was on...I'd notice my main was running, but it's easy to not notice it in the daylight. Why would I be looking at the main's rpm gauge if it isn't supposed to be on? The plan is to put the green LED light right next to the kicker pro-trol. If I then ignore the bright, green light, I'm hopeless. Yes, that has happened to me with the Suzuki. When I first got the 22 SL we sat on the hook for 2 hours and didn't realize the 200 Suzy was running until time to pull the anchor. It happened a couple times after that, but I started checking the tach and that solved the "problem". At some point you will likely remember to check the tach (or look for the pee stream) without needing the indicator light. It happen to me recently when trolling with the kicker. So add a 400 ohm resistor. You can buy 12v leds they will already have the resistor built in. Happened to me just the other day. Trolling along, standing up at the back of the boat, wife driving, looked back and the main was peeing . The trouble with looking at my tach is that when I turn off the main the tach doesn't zero out, just stays where it is when it lost power, usually idle. Haven't gotten it installed yet. My 703 Controller has four wires as shown below...red, black, green, and yellow. I believe the yellow is what I want to tap into because I verified it is 12v and live with the key. When I disconnect it, my digital gauge is dead so I will need to tap off it. Any concern with powering the LED here? Does your kicker start with a key ? No. Electric start on tiller. Why? Just thinking of other ways to prevent starting the kicker without turning off the main. Reading my Yamaha F100 owners manual, it recommends idling the motor for a couple minutes after running it hard to allow it time to cool down. So good practice is to leave the main running while I lower the kicker, start trolling and put the fishing gear in the water. Then I'm supposed to remember to shut off the main...which doesn't happen if my brain starts thinking "fish"! Correct, you should cool down the engine by idling after running hard. A temp gauge helps for that, but an ON indicator would be pretty helpful. Did you figure out how to use the yellow wire? Maybe one of those mailbox flags mounted on the side of the main motor. ?? (J/k). If your boat harness is wired by colour code then you will find the same yellow wire behind your tach, trim meters. You could also tap off those they should all go to the 12v ign. Yellow should work. Here's the adapter I made to tap in. I'm going to mount the LED on the dash right next to my Troll Master Controller so when I'm looking at my troll speed, it should be shining in my eyes. The other choice is one of those flashing lights like those on top of school busses, except mount on top of the big motor. There we go! We have a solution!!!! Who is going to wire it in? That would keep the rift raft away. Heck, with so many authorities on the waterways these days, they'd probably all leave you alone out of embarrassment of not knowing who you are! Even found a little label for it. Nice job but wrong label. Needs to say, "You left big motor running!" Once you train yourself to watch the light it will be better than poor hearing to know the motor is running! Now we need a thing to get him to turn off his turn signal...a noise , or maybe flashing light in the dash someplace ...on his truck!